…Air China, of course, and Beijing, for bad service above and beyond the call of duty, a total lack of concern for passenger comfort, and incompetence bordering on malpractice. For that honor, they not only had to totally change my return flight LAX-PEK-BKK, and do it not only with no prior notification, BUT NO NOTIFICATION AT ALL! Tibet waters Asia. From its 20,000 foot plateau flow the headwaters of the Indus, the Brahmaputra, the Salween, the Mekong, the Yangtze, and the Huang Ho. The headwaters of the Indus and Brahmaputra almost meet, almost making of India an island reminiscent of its former history as a transient sub-continent looking for a home plate to slide into. The upper waters of the Salween, Mekong, and Yangtze run almost parallel for 250 miles, only fifteen to thirty miles apart as the crow flies. Those three empty into the Andaman, South China, and East China Seas, not far from the cities of Rangoon, Saigon, and Shanghai, a distance of over 2000 miles on that same crow’s odometer. It would be much farther than that by boat, and an immeasurable distance by yardstick. How long is your coastline? That depends; how short is your ruler? Napoleon’s ears prick up and Zeno’s paradox takes over, and you never really get there, because the halfway points are infinite. I’ll take wise old crow; he cuts to the chase. Hold the Press! Late-Breaking News! Tibet Is Open! There you have it, hope for the disenfranchised China hand. 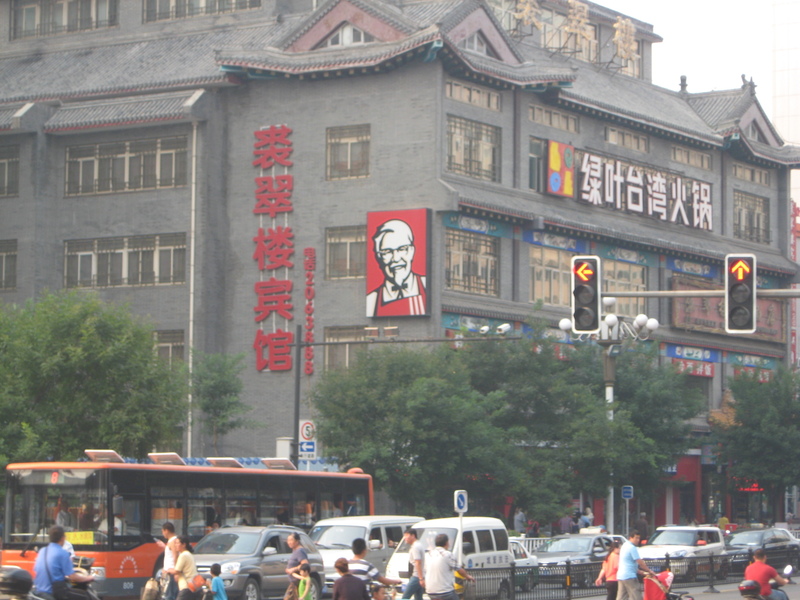 C U in Xizang! Sorry – not a candidate for much travel any more – but of interest, as my granddaughter and her husband went to China and Thailand last month. They live in Nashville – Sherri’s daughter: Shannon McIntyre Hooper. You can always travel in your mind, Esther… Happy New Year! Fairly lost in all the hubbub over Western democratic standard-bearer Greece’s trials and tribs over budgetary peccadilloes and illegal immigration pequeninos washing up on its shores, is the problem in behemoth China’s own economy, whose stock market has lost some $3Trillion bucks over the last month, more than the entire annual GDP of all but the world’s four largest economies, and equal to those of the UK or France. Ouch! I hate when that happens. …flight leaves Bangkok at 1:20 in the morning, already doomed as far as I’m concerned… seat back doesn’t seem to want to recline backward… arrive in Shanghai at six in the a.m. with seven hours until my onward connection, but I have to change airports—not terminals—to do it. Fun fun fun… exchange houses in China will fleece you right there at the airport, charging you fifty yuan to change your money, so I ask him for it back. I thought he said fifteen. Shanghai’s is the airport of the future, symbolic of their field-of-dreams mentality, their edifice complex, the notion that the world is there (and theirs) to be developed, a mall in every village, an airport for every town. I’m not sure I like that vision; I’m pretty sure I don’t in fact. Nature may not always be right, but probably more often than humans. I don’t think I’ll ever lose my love of fields and streams, mountains and valley daydreams. …weather is bad, so the flight is an hour late leaving Shanghai, still I find my hotel before dark by the grace of God. Allahu akhbar. There’s a reason I book hotels close to subway stations… it’s a peach, $30 net with a couple bucks extra for the best breakfast I’ve had since Istanbul; hard-boiled eggs, salad fixin’s, and forty-two different kinds of tofu, a vegetarian’s dream in cheap hotel heaven… hotel doesn’t have Wi-Fi, but I guess a hard-wire connection will do. Steve Jobs wouldn’t like that, though, would he? …first day I walk so much that my feet are mush. 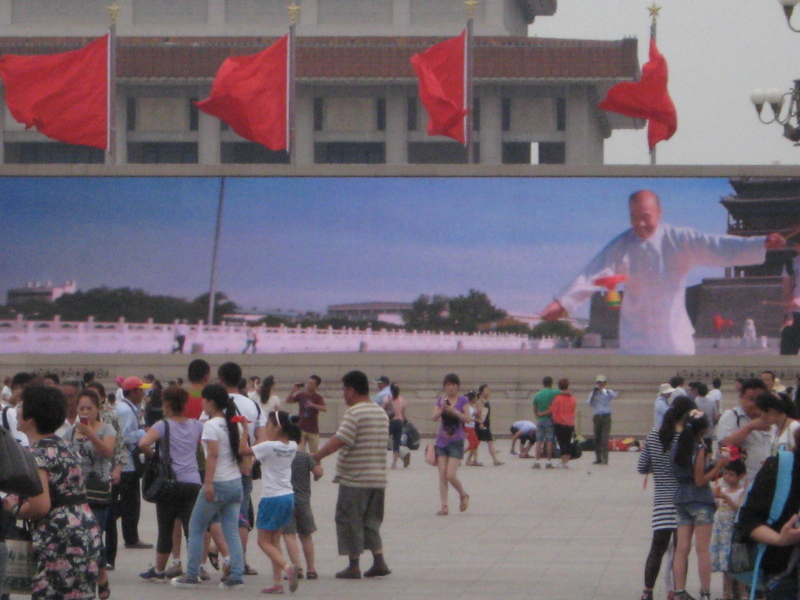 Tiananmen Square and Sanlitun Village—the foreign quarter—will have to suffice. I’ll save the Forbidden City for another day. I can do that any half day. 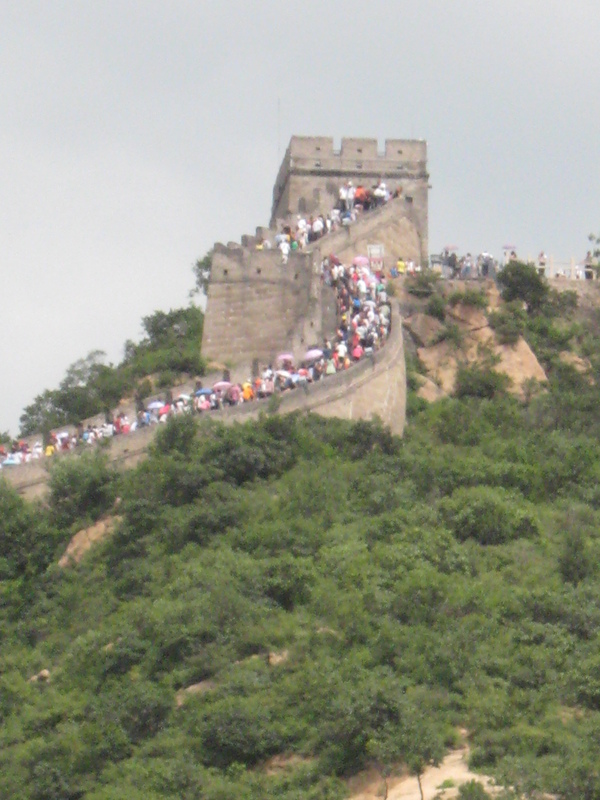 The Great Wall will take a little more planning… mostly waiting actually, for the bus. I blow off the tour companies and opt for the public bus, but that means the long lines familiar to Communism. Wall’s impressive, too, as much or more as any picture could attempt to do it justice. I even thought about walking it, but… naah. On the way back, though, I jump the bus line when I hear the guy yelling, “Spaces for two!” At least I think that’s what he said. Most Chinese travel in packs. They yell a lot, too. You’ve probably heard that they’re not really yelling, that’s just the tonality of the language. That’s pure BS; they’re yelling. 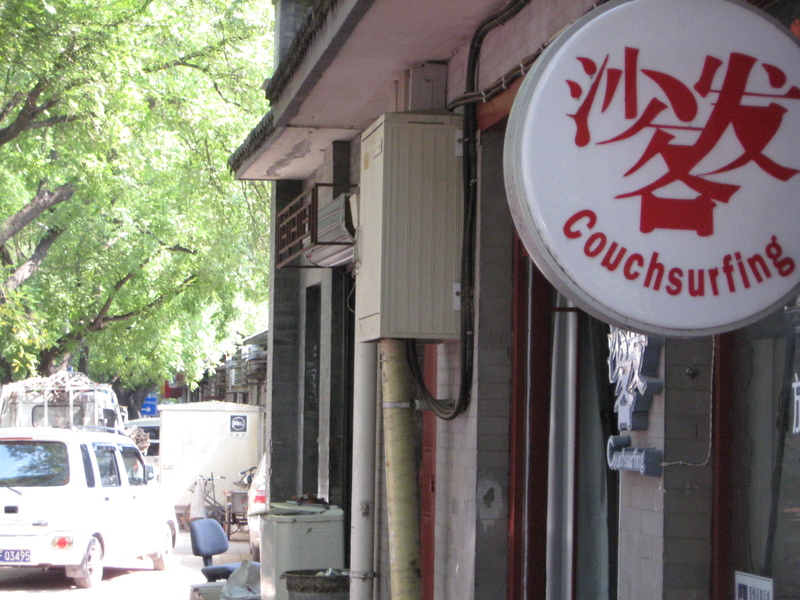 …a little bit of old China—but not much—lives on in the back alleys of Beijing. Here you can find the best street food and the most interesting little shops. They’re rapidly becoming upscale and fashionable, too, since the faster they disappear the more valuable the few remaining ones become. It reminds me most of maybe the old quarter in Hanoi, with which it must share a common ancestor, if Hanoi is not a direct copy itself. Fortunately that district is not far from where I’m staying, so it’s the best of both worlds for me. I like it. I’ll be back. Of interest to know that you are a vegetarian. Wondering how you get your protein? And you are such a pro at taking in all the sights and describing them to us ‘laymen.’ Very impressive, indeed. Keep healthy.